We are now entering my favorite time of the year (summer, yay!) and I have a few photos from the Capture Your 365 Challenge to share with you this week! Day 152 – Signs of Summer: Our town has a festival at the beginning of June each year and Saturday night always has a fireworks display. We love sitting out in front of our home and watching the fireworks over our neighbor’s houses. I set up my tripod and just continued taking a lot of pictures during the display. It was a great way to end an almost-summer day! 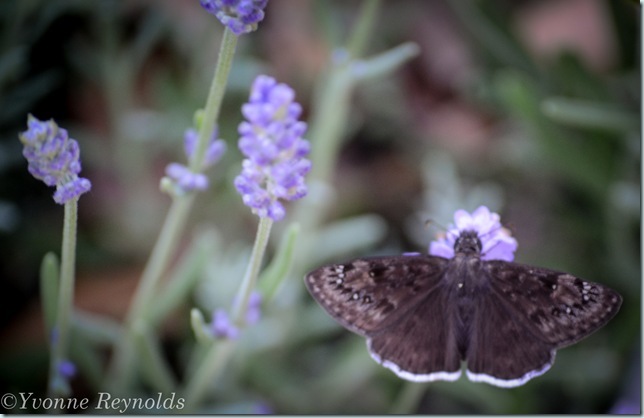 Day 154 – Dandelions: No dandelions in my backyard and not the sharpest picture I have ever taken, but I was able to capture a butterfly! Boy, that was hard work! Day 155 – Negative Space: My husband surprised me with a bouquet of ‘just because’ flowers. These were the perfect subject for today’s photo prompt! Day 156 – Documented: When it was decided that I would be joining the Compassion trip to Mexico in January 2014, I decided to start a ledger to keep track of my ‘earnings’. To remind myself that God is in control, I wrote out “The Lord will provide” from Genesis 22:14. There is no reason for me to worry about the funds for this trip because God will make it possible if it is His will for me to go. He has been providing abundantly, it has been exciting to see Him work in all of this! What have you captured this week with your camera?